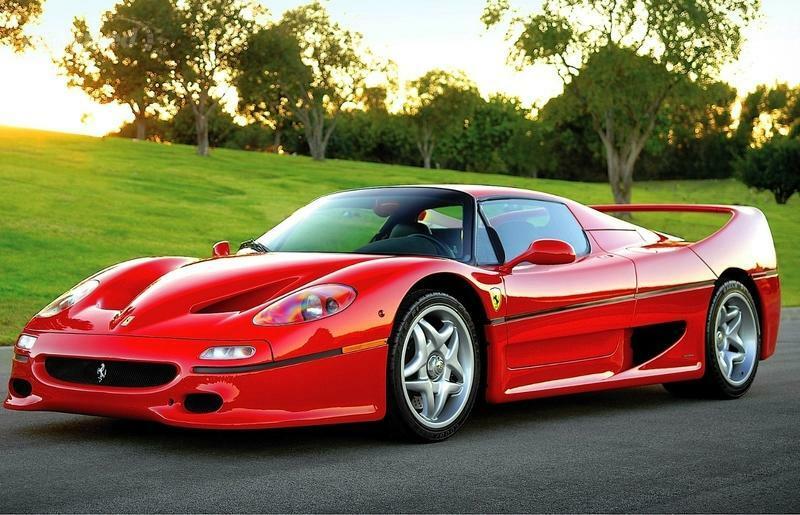 The Ferrari F50 is by far the least popular of the firm’s first four generations of modern hypercars. All the world’s respect and awe for the F40 met the F50 at its debut, but the tide quickly turned for this $480,000 machine after reviewers and Ferrari customers alike revealed the F40 replacement’s familiar styling hid dynamics and a driver experience nowhere near the ferocity of the legendary original. Instead of a peaky and violent Group B reject like the F40, the F50 was a heavy, high-speed missile with limited tractability at low speeds from the V-12 versus the explosive F40’s twin turbochargers and short gearing. Make no mistake, there is nothing wrong with the performance of the F50, which easily spanked [the hottest thing available from Lamborghini at the time, the Diablo VT in sprint pace, as well as maximum velocity. The construction is carbon-fiber with the rigidity of a fortified bunker, the rear wing is eye-catching, and the 1990s makeover of the F40’s simple nose was beautiful, at first. 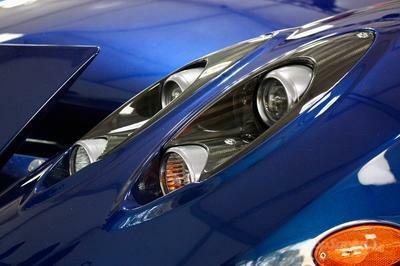 The F50 largely included the F40’s exaggerated and exotic proportions and clamshell hoods front and back. Headlamps above the bumper and hood’s leading edge were possible via shrouded enclosures for the first time in three decades, and the unadorned intake wears only a simple and modest prancing horse. The F50 is an enjoyable case study for armchair experts and everyone else forced to endure Ferrari’s frequent grandstanding. It also shows a few nice things for all supercar fans, especially those who are, unfortunately, not debating which Ferrari to purchase (at least not any time soon)! Click past the jump for the full debrief of the Ferrari F50: the Ferrari’s hypercar sophomore album that is now a study in what *not* to do when replacing a legend. 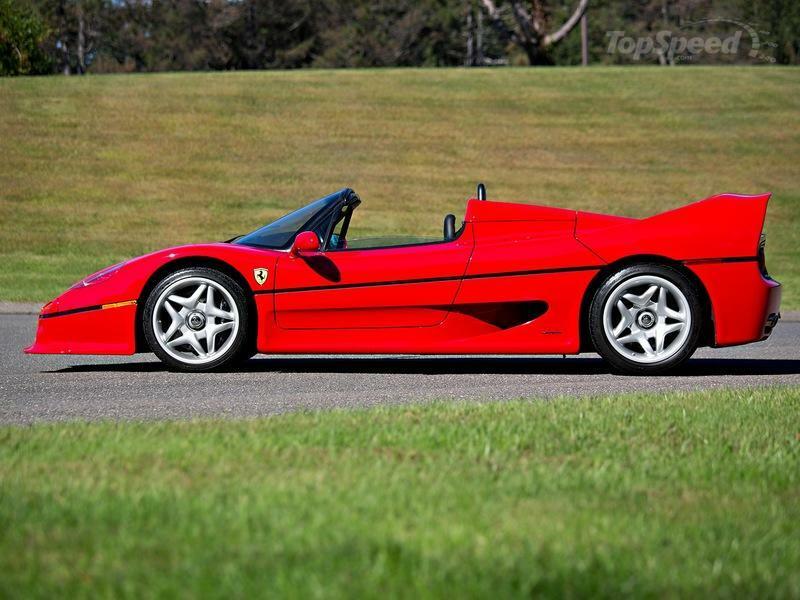 The F50 writes checks all over its exotic styling that the driving experience failed to cash. While the F40’s chiseled features and unapologetic aerodynamic modifications felt almost more than authentic, like something directly from the race courses of the future, the F50 was more of a moment in time for 1995. The third-gen Taurus had just debuted its 100-percent-oval styling abomination on the public, and you were nobody without curves on every panel. Much as the 1996 Ford Taurus will not be joining any automotive museums besides the "Edsel Ford Memorial Car Crusher and Smelter:" the F50 is also in a bad period at the moment: too old to appeal to freshly minted fortunes, and too young to get any respect on the classic scene. After staring into this beautiful machine for hours, but feeling little or no spark like the F40 generated, people were confused. The F50 seemed to have all the right stuff, but just hit the floor with a thud the moment curves went out of fashion by 1999. 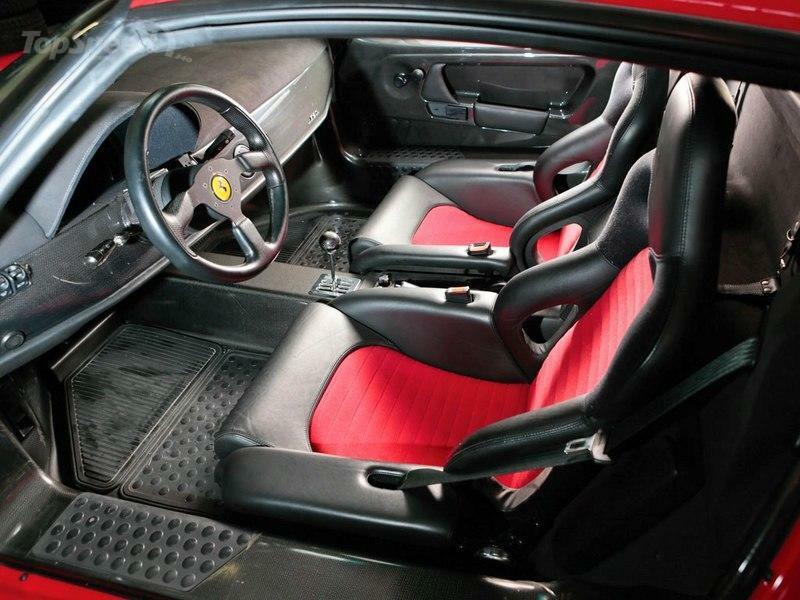 The interior is able to move forward from the F40’s authenticity, as well, but generally is much better for it than the exterior. Updates included a far wider cabin and much better driving position, viable A/C and heating, some insulation, and optional racing seats that can fit individuals larger than Danica Patrick. Additionally, it lacked the tacky green sealant splattered throughout the F40’s cabin. 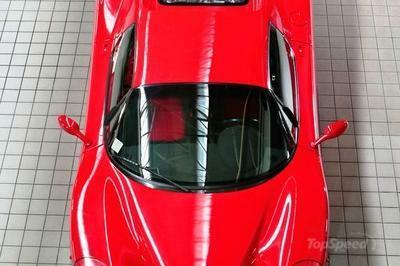 The rear highlight of the F50’s cabin is also one of its more successful ideas in general. A removable targa panel offered al fresco cruising without any structure problems. One of the world’s first carbon tubs meant no additional bracing was needed to keep the F50 in shape without the top. Integrated roll hoops are still a little cool in their execution, while the idea of the targa-topped carbon hypercar would be mirrored by the Porsche Carrera GT by the early 2000s. Cars from any time before about 2002 are all fantastic and very relaxing inside, even this F50. Lack of infotainment and a steering wheel sans 44 button and switches is quite comforting when pushing the handling limits of this limited-production machine. 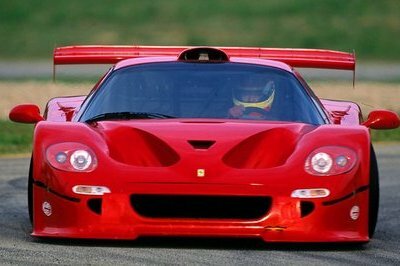 This is the Ferrari F50’s biggest problem: a V-12 whose weight and lack of explosive low-end power felt very dull after the F40’s twin-turbocharged V-8. In addition to a net power loss verus the F40, the F50’s atmospheric V-12 hits its quite torque peak 2,500 rpm higher than the F40. 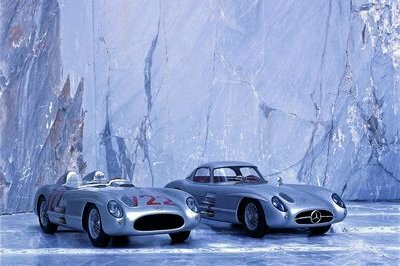 Add tall gearing, and the F50 felt far too slow versus the F40 and the 1993 - 1998 McLaren F1. 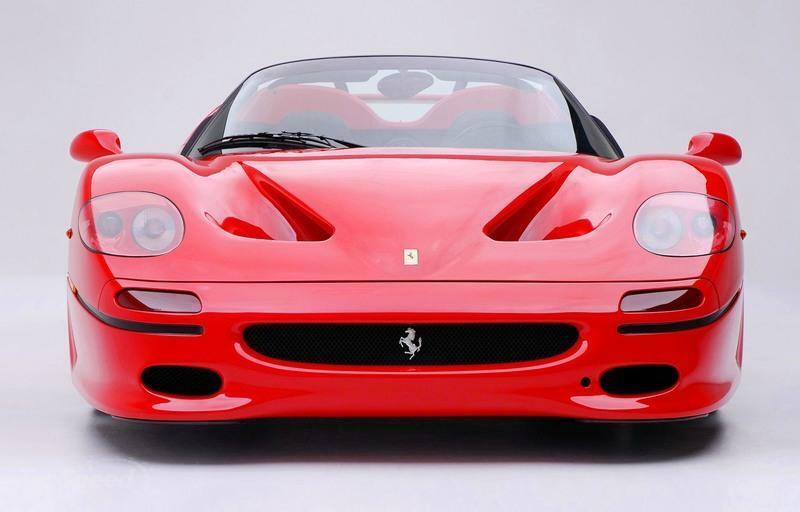 The F50’s claimed weight gain of over 300 pounds on the official books is largely believed to be more like 500 or 600 extra pounds versus the F40’s flyweight specs. On top of that, it drove like the extra weight was more like 1,000 pounds. This V-12 is still an evolution of some classic Ferrari racing V-12 engines, which when they debuted were absolute engineering marvels of compactness and power output. As displacement grew from the original tiny displacements (often less than 2.0-liters, which for a V-12 is completely unheard-of then or now). Chain-driven quad cams with dry-sump lubrication is an engine type that is still largely beyond any American or Asian car makers’ abilities, But as size grew, this big engine got heavy and lost its appetite for revs. This is before variable valve timing, but the F50 does have five valves per cylinder. The engine is more optimized for high-speed tracks, where the car will always be going at least 80 mph or so. From below that pace, the F40 was a huge letdown. The two examples just sold by RM Auctions in since 2012. The 1995 example sold on August 17th, 2013 in Monterey for $1.7 million. The 1997 example sold on May 25, 2013 at Villa Erba in Italy for only $758,000 - so it seems it is a bit cheaper to buy one near the factory. The Diablo is also a bit of a caricature of its past glory with the Countach, as the original examples of this big beast were as unwieldy as a donkey cart, but with the sprint pace of a jet engine. 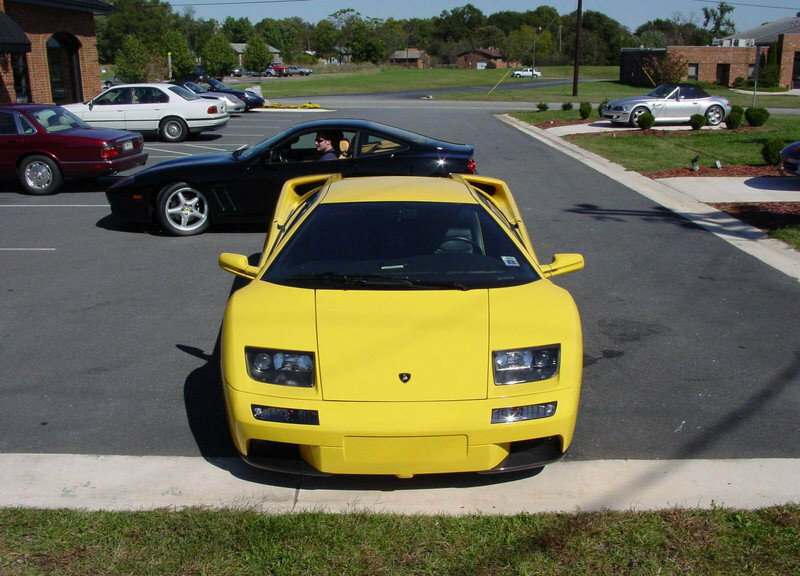 The Diablo made more of a name for itself via continual refinements and enhancements over its run from 1993 to 2001, and is still a more lasting shape, thanks to its originality versus the Countach. Can you image a Taurus Oval-style Countach? 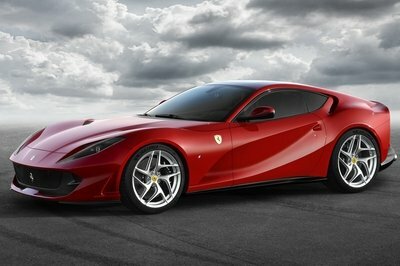 The F1 destroyed the Ferrari by offering far more inspired solutions to weight saving, the three-man seating and central driver’s seat, and even the exclusivity of the experience. Also a naturally-aspirated V-12, vastly lighter curb weights and the road version’s broad gear spread meant the F1 was like a ballerina next to the F50. Why is it such a relief to see Ferrari flub one into the grass? Arrogance from Monday through Sunday is part of the Maranello legend, and will not be changing any time soon. The Old Man was pretty vicious, vindictive and boastful, which are now almost more brand traits. 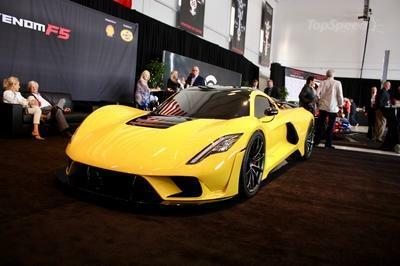 Seeing the F50 flop also helped define what buyers in the hypercar market really want. As Enzo always said, build one less than you plan to sell. 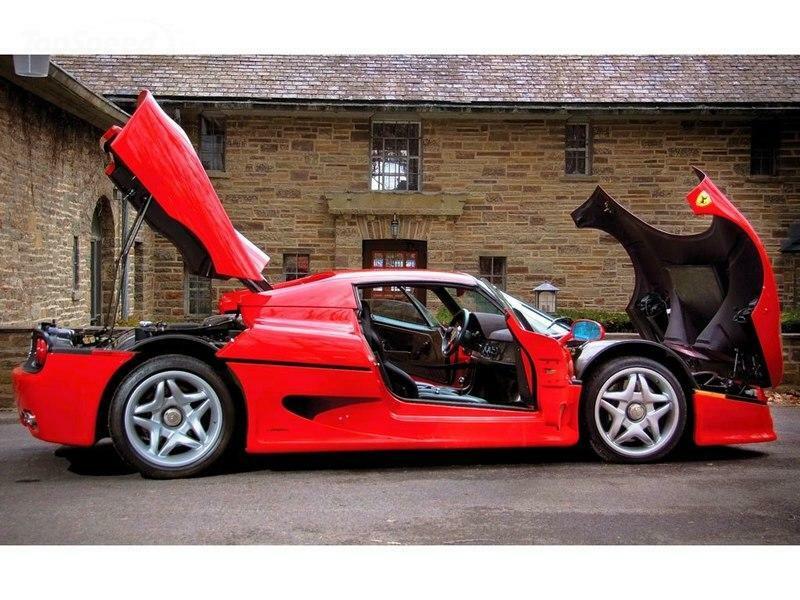 For the F40, that was 399 units at first, then 600, then 800, then 1,000-plus. For the F50? Interest dried up before the red lipstick could dry on the 349th example.